Decreasing daylight hours, changing leaves and birds heading south for the winter are sure signs that the coldest season will soon be upon us. Just as you have been preparing for winter by completing one final yard cleaning and polishing your car, you need to turn your attention to your motorcycle. Unless you live in a perpetually warm climate, you will be putting your bike away for the winter. Following the manual is always the best jumping off point for the care of your motorcycle. Take some time to really read through and familiarize yourself with the instructions for winterizing your bike. If you haven’t changed the oil over the two months, be sure to do so before placing your motorcycle in storage. This preemptive measure will ensure you have fresh oil in place when you’re ready to ride again. 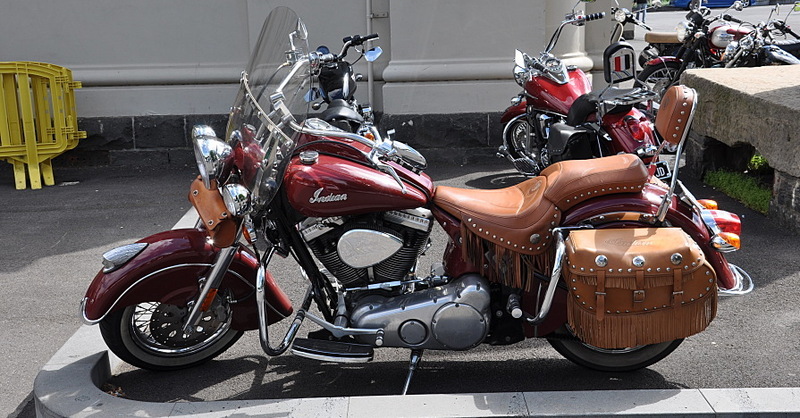 Leaving your motorcycle in storage for three or four months should result in no problems. Even so, this is a prime opportunity for you to clean the carburetor to make sure that all the filth has been removed. Add a product such as Sea Form motor treatment to your fuel, then ride your bike as you always do. It’ll clean the carburetor and protect your engine from damaging residues and fuel deposits. Absolutely fill the gas tank before you place your motorcycle in storage because this will prevent gunk from accumulating in the tank and thwart rust. Now that the dirty prep work is done, you’re ready to move to the next step as you winterize your motorcycle. That means bringing out your motorcycle wash kit and cleaning your bike. Thoroughly dry it with a microfiber cloth and apply tire shine. Select a carnauba wax to ensure that its intrinsic handsomeness is preserved. 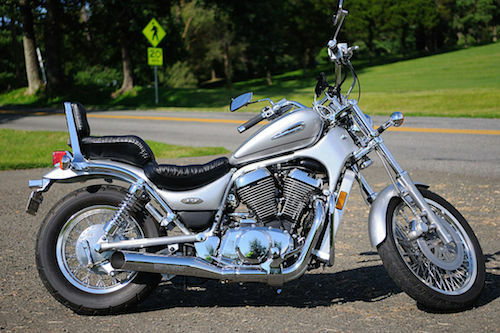 When storing your motorcycle for several months, you need to keep two matters in mind. First, is the storage area secure? Only park your motorcycle in a garage, shed or other building that is locked at all times. Second, is the parking area warm and dry? You don’t want to park your motorcycle where it may become wet, or in a building that is too cold. A shed or other outbuilding should have a heat source. Once the bike has cooled and the muffler is no longer warm to the touch, you’re ready to cover the exhaust plugs and place a cover over the muffler. Verify that these exposed areas are securely covered, otherwise mice may take up residence. Disconnect the motorcycle battery and set it to the side. Next, connect it to a trickle charger to make sure that it will have sufficient power to last throughout the winter. If you own a motorcycle cover, then install it. A cover is ideal to protect it from dirt, dust and debris as well as possible exposure to moisture. If winter briefly loosens its icy grip, you’ll have an opportunity to restart your bike. Remove the covers, reconnect the battery, and enjoy the brief respite. Then, return it to its proper storage and follow the last three steps again. Winter may return with a vengeance, but spring is nearer still. Check out all the products available on NAPA Online or trust one of our 16,000 NAPA AutoCare locations for routine maintenance and repairs. For additional information on how to winterize your motorcycle, chat with a knowledgeable expert at your local NAPA AUTO PARTS store.